Available in 5mg,10mg and 18mg salt nic. Flavour Profile: This juice will bring on the nostalgia, combining a sweet lollipop flavour mixed with lemon sherbet. Yes that’s right, just like the classic sweets we used to buy from the corner shop. Salt based nicotine E-Liquid, captures the natural salts found in the tobacco leaf to produce a smooth vape without any harsh throat hit. 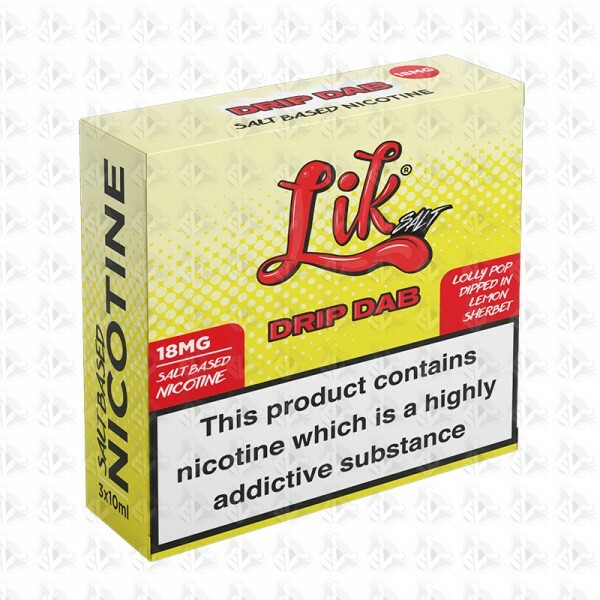 This allows the nicotine to be absorbed quicker in to the body give you the natural rush as experienced through a smoked cigarette.